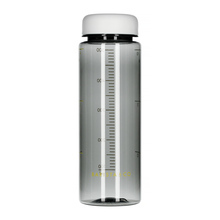 Barista & Co Timer Bottle allows you to track and monitor your water intake throughout the day. An easy way to ensure you stay hydrated and keep up with your daily goals. 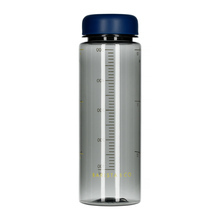 Great to use at your desk or a the gym, this water bottle is simple, stylish and functional. 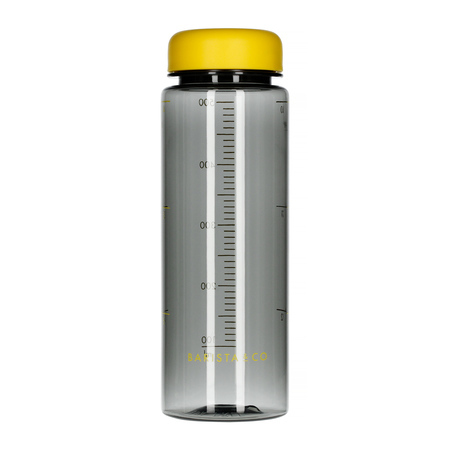 This bottle also features an accurate measure line that allows you to measure out water for coffee brewing. - Measure marks allow you to monitor your water intake by the hour. Fill the bottle with water and drink the required amount by the time stated on the measure lines. Refill the bottle and repeat throughout the day. By the end of the day, you should have consumed 4 bottles of water. 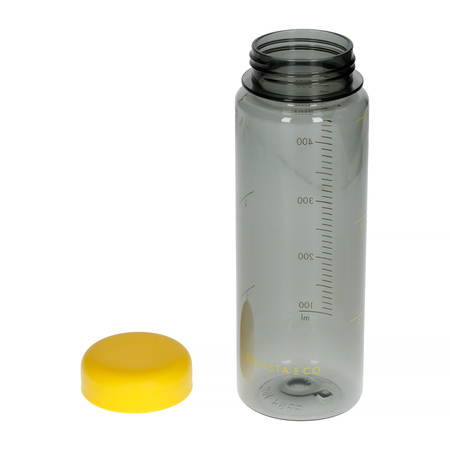 - Leak-proof screw cap and wide neck for easy drinking and cleaning. - Rounded edges and premium materials make this bottle incredibly comfortable to hold. - Ideal for measuring all liquids in the kitchen. - Made from BPA free Tritan plastic that is durable and will last the test of time. Coffee is not only a drink. It's a whole, beautiful and inspiring world. Don't believe? Look at our list of coffee inspirations! You'll be amazed!